The new HardCap AeroLite® is the lightest full shell bumpcap available on the market. A direct Evolution of the ever popular HardCap A1+™, the HardCap AeroLite® represents the forefront of innovation within the JSP® head protection range, providing complete protection in its category by meeting the requirements of the EN812:2012 BSI® Standard. Developed and refined by JSP® Ltd.´s in-house Research and Development department the HardCap AeroLite® weighs less than 135g without compromising on performance. Consistently passing and exceeding the required impact tests the HardCap AeroLite® is the best performing lightweight bump cap on the market. The HardCap AeroLite® is arguably the coolest bump cap on the market providing better air flow than the HardCap A1+™ and all of its competitors. Weighing less than 135g without compromising safety HardCap AeroLite® is made using a lightweight EPP (Expanded Polypropylene) impact liner combined with a tough HDPE shell. All wrapped in a lightweight baseball style outer cap. Both the sweatband and comfort liner have been coated with Polygiene®, an anti-bacterial treatment that acts as an internal deodorant counteracting the development of unpleasant odours. Thanks to its hygienic function it effectively prevents bacterial proliferation by increasing freshness and comfort of the fabric in contact with skin greatly reducing the risk of contact dermatitis. Polygiene® has a UK Class 1 medical certificate and offers a life-time guarantee for odour control. The integrated sweatband is designed to be moisture wicking allowing liquids to spread out across the fabric increasing the rate of evaporation. Large reflective panels feature on the side of the HardCap AeroLite® adding product and user visibility. 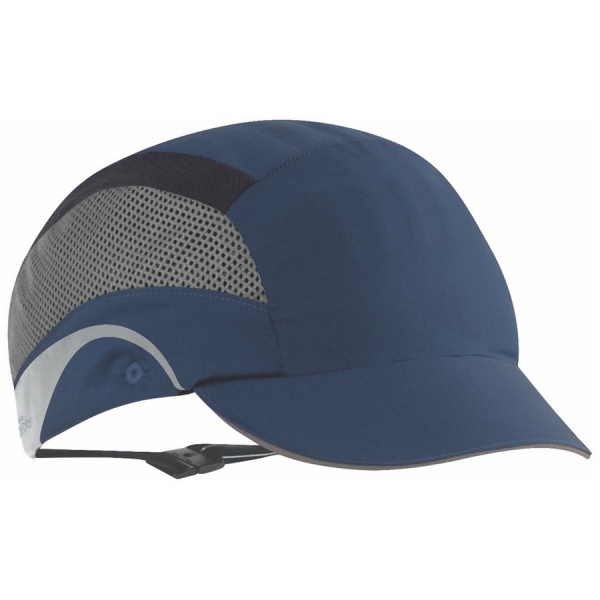 To add increased resistance to staining the stylish baseball cap outer lining has been treated with a DWR (Durable Water Repellent) coating that allows water to bead and roll off of the cap. We provide replacement covers and inserts as a cost effect alternative to replacing your end of life products (Sold separately). We use Polygiene® on this product to help keep it fresh and odourless. Polygiene® prevents the growth of odour-causing bacteria and fungi at the source, permanently!